Home > Guitar Gear & Guitars > What are Loop Pedals and how can they be used? What are Loop Pedals and how can they be used? Loop pedals are an incredibly versatile tool ideal for practice or creating complex pieces of music. Loop pedals have rightly gained in popularity amongst guitarist over the last few years. Much of their rise in popularity can be credited to the large number of big names in the music industry using loop pedals as part of their live set-up. Think of Ed Sheeran and KT Tunstall who both use loop pedals to great effect and you can see why this little box of tricks has become so popular. For example Ed Sheeran has performed a number of live sets, to huge audiences, with great effect, playing just his acoustic guitar plugged into a loop pedal. As with anything in the guitar effects arena there is a wide array of loop pedals that you can choose from. It is therefore worth detailing what loop pedals are and how they can be used as well as describing the various functions that can be included in a loop pedal. So what are loop pedals? A loop, or loop pedal, can be used to record short passages played on the guitar which are then played back as a continuous loop. In a basic sense the loop pedal can be used to create a backing track that you can play along with. However, the beauty of the loop pedal is that it is possible, depending upon the pedal that you buy, to create complex rhythms and harmonies from multiple passages all layered one on the other. It is also possible to record samples with a microphone or from CD or mp3 player to mix in with your guitar. The possibilities for creating complex effects are only limited by your imagination and the pedal that you choose. What can you do with a loop pedal? A loop pedal is a great tool, especially for practicing on the guitar where you might not have the backing of a band. There are a number of areas where the loop pedal is a fantastic tool to have in your guitar case. This is fairly obvious but the loop pedal is great if you want to practice with a backing track. For example you can lay down a chord progression and practice soloing over the top. It is also a great effect for novice guitarists to hone their skills. By creating and recording chord progressions and learning how to layer harmonies and solos over a chord progression you learn hugely about creating tunes as well as keeping in time. The loop pedal is in some respects a simple home recording studio. It allows you to capture and record ideas, build your own chord progression and harmonies or even compose entire songs. The big benefit of a loop pedal is that it can turn you into a one person band. You can record complex passages and then perform over them without the need for an accompanying band. 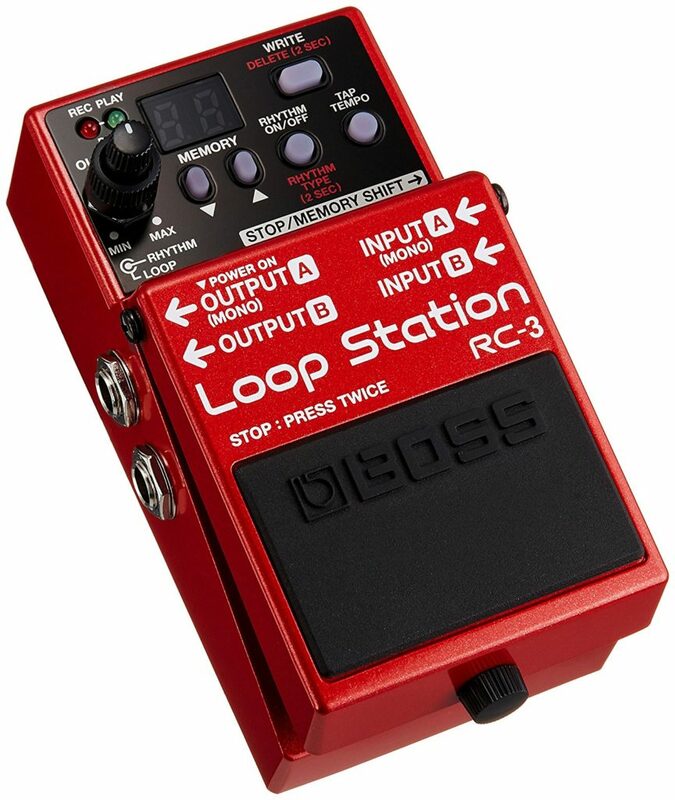 The video below demonstrates nicely the benefits of the loop pedal and also highlights a very good loop pedal the Boss RC-3 Loop Station. In summary loop pedals are an amazing creative tool, oh and they are a hell of a lot of fun too! From a simple practice tool to an advanced device which can be used to record complex passages of music the loop pedal is only limited by what you want to do. I can’t rate them highly enough.